Well, today, I actually had a plan. I knew I had a celeriac kicking around in the pantry from last week’s Riverford veg box; I also knew I had a pot of home-made mayonnaise in the fridge, left over from last weekend’s prawn cocktail. I was all set to make celeriac remoulade. Celeriac remoulade is very similar to cole slaw, but uses celeriac rather than cabbage as its base ingredient. It is also astonishingly easy to make. First, you take half a smallish celeriac. 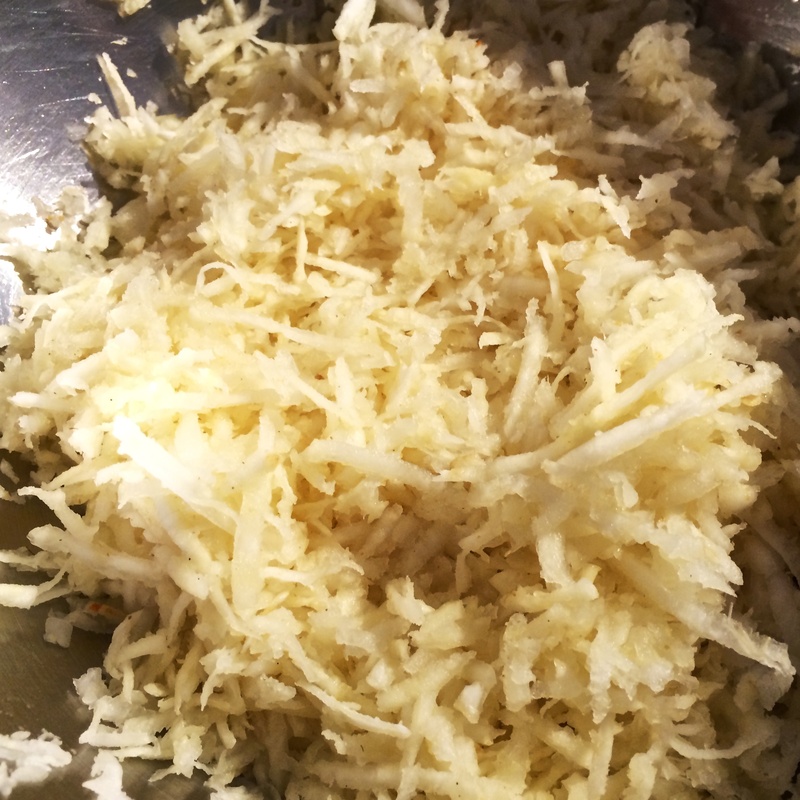 Finely grate it into a bowl and add lemon juice, salt and white pepper. Mix thoroughly, then leave for about thirty minutes to soften. Next, stir in some mayonnaise, dijon mustard, a little cream and some chopped parsley. 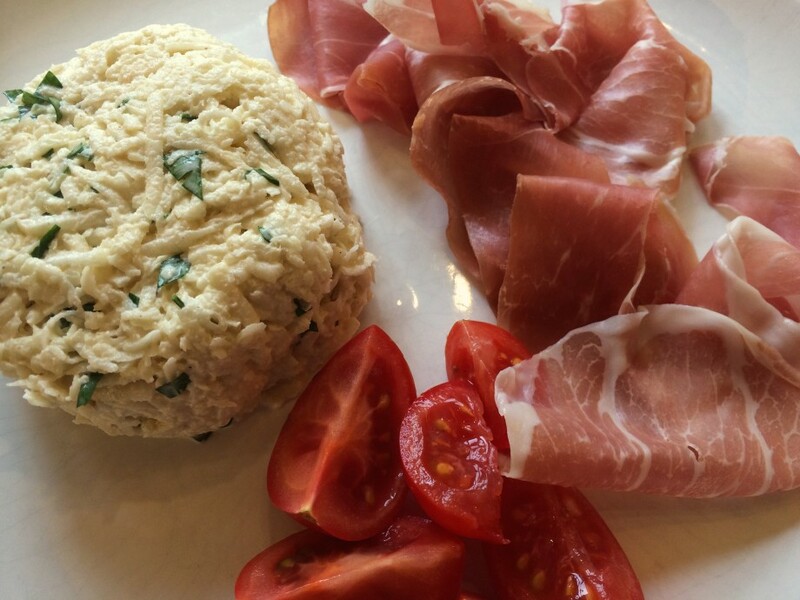 The recipe suggests serving it with prosciutto, so I did that, together with a few slices of tomato on the side. The whole thing took about ten minutes to prepare (plus the thirty minutes resting time), and was very tasty. It made for a great lunch. I never really know what to do with celeriac when it turns up in the veg box – I really should just make this more often. Perhaps just a touch more mustard next time. Yum! Why haven’t I had this before is the main question. It looks like coleslaw without the carrot, or rice salad at first glance. But the texture is lovely. Firm, with a little crunch and a good flavour. I like the addition of a little white pepper, that just peps it up. It’s creamy and goes very well with salad. I’d say it’s nicer than coleslaw because I don’t like the strong taste of raw onion. I will be tasting raw onion hours after I’ve eaten it. I hate that! If you’ve not had this, make it. Easy and very good. I will attempt to keep this in with my salads over the summer. Dave – the Gateau from last week looked bloody lovely. When I was 18, for my birthday I spent all day making mine – not the same recipe and it didn’t look at good as yours. It was a right labour of love. I also loved reading how you made it. Celeriac remoulade is also my of my favourite things. I think I’ll make it… You’ve inspired me. 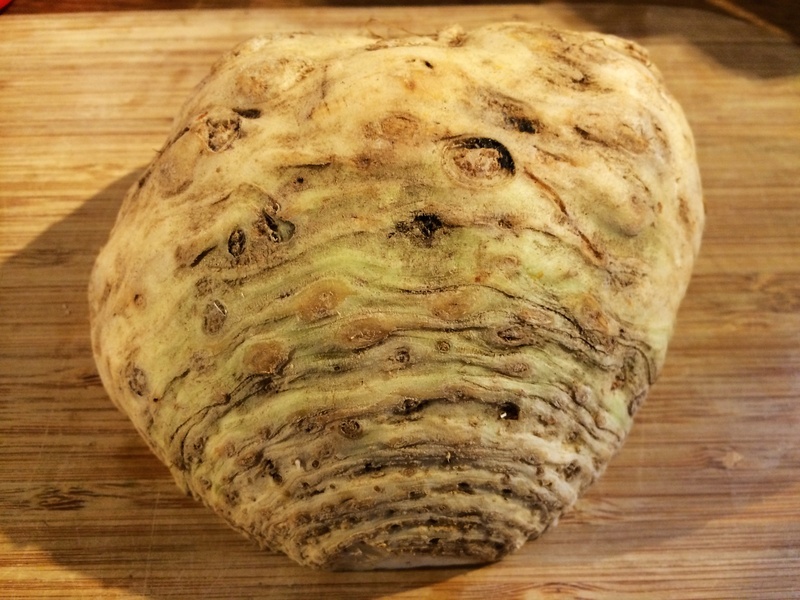 Oh, you must make the celeriac remoulade, it’s so easy. And make another gateau! You should do your own cook-along-athon with me! Have decided to make celeriac remoulade and serve with gravad lax and home made soda bread after having a cerliac and carrot remoulade with gravad lax last night at the Roade House. Light and fresh, lots of flavour but not too heavy, a perfect starter on a hot muggy summer evening. Good maariage of flavours. Will save some for you next weekend. Apologies for spelling!